lldreamspell: Dance On His Grave! I thought I'd share this here with everyone until I can get it uploaded to the L&L Dreamspell website! This mystery/suspense novel is a real page turner--and it's only the first in Sylvia Dickey Smith's Third Eye Mystery Series. 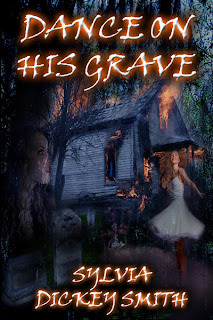 Dance On His Grave will be available sometime this May--we'll announce it here or you can sign up for L&L Dreamspell's free update newsletter. Click on the link below to visit our website then sign up today! Oh, and thanks, Sylvia, for the wonderful compliments on the book cover--I really enjoyed creating it for you!